The sky above Flying Point Beach begins to break and the sea mist from the Atlantic Ocean subsides. 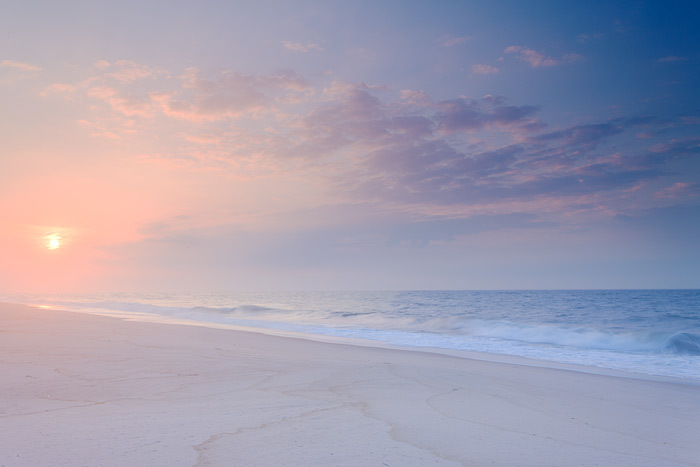 Blues and pinks fill the sky and sea on a warm summer morning in Southampton, New York. Photo © copyright by Thomas Mangan.